maart 2013 | 253 blz. 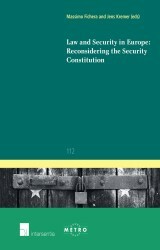 In this book, the authors analyse the ambiguity of the notion of security and its tendency to expand and affect simultaneously different fields of law. More specifically, they address the militarisation of the fight against terrorism, the distinction between administrative and penal sanctions, the limits of intelligence activities and the scope of criminalisation.